I'm involved in a cookbook project, and over the past few days we've been testing Thanksgiving recipes. Last night several adventurous friends were guinea pigs for a beta test of turkey, stuffing, gravy, mashed potatoes, cranberry sauce, and candied sweet potatoes -- plus a salad and strawberries. Those last two weren't part of the official test menu, but I added them for nutritional balance. 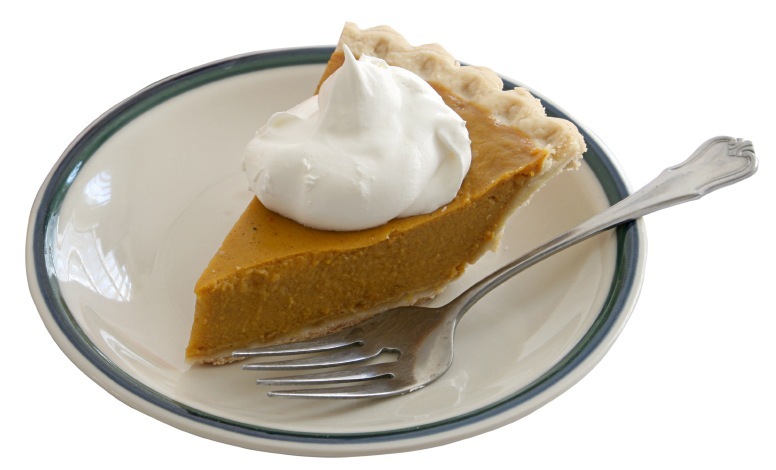 I couldn't even begin to imagine serving pumpkin pie in August! 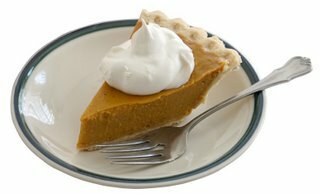 Fortunately, I don't like most store-bought pies, and wild horses couldn't have gotten me back in front of the stove again last night, so there was no possibility of getting a pumpkin pie. Still, it kept appearing in my thoughts all night long.